He himself is described as “the silent god” with a thick shoe, nearly as strong as the god Thor, and that the gods rely on him in times of immense difficulties. 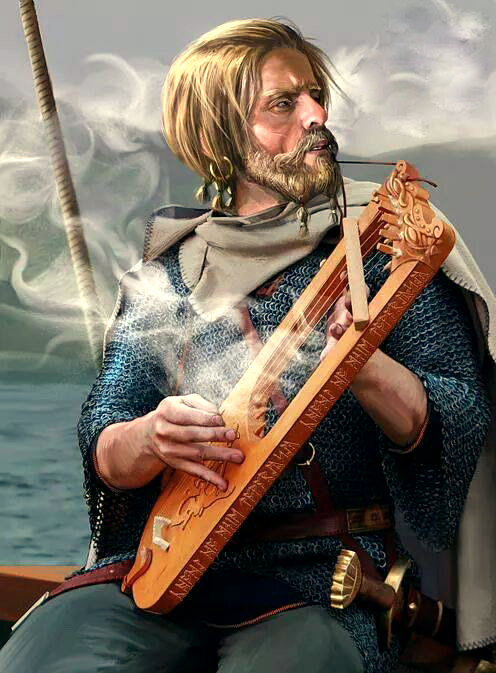 He and his brother Váli are both fated to survive Ragnarök, along with Baldr, Höðr, Nanna, Móði, and Magni, and dwell within the field of Iðavöllr. To avenge Óðin, Viðarr alternately pierces Fenrir’s heart with a spear, or pins the giant wolf’s jaws with a massive shoe and rips his jaws apart. It was an old custom to save the trimmings left over from making shoes for the god, which Viðarr would then take, through all time, and add to his own massive shoe. He also appears in stories relating to Loki’s flyting, in Ægir’s hall, where Óðin asks him to pour wine for the troublesome guest. Viðarr’s silence and aloofness from the other Æsir seem to be related to vengeance rituals common in Norse stories, and mirrored throughout other cultures. 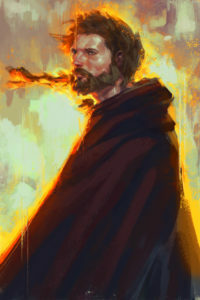 His brother Váli went through a similar process of abstinence before avenging the death of Baldr – he eschewed bathing and combing his hair and beard until the deed was done. In a similar way, Viðarr is seen to take a vow of silence and removes himself from much of life at court in Ásgard, to dwell in an overgrown field, waiting for the day he is fated to kill Fenrir. Shoes, especially made of leather. The figure of a man standing between the jaws of a wolf.